A lot of us Californians like to hit the open road, explore miles of highway and venture off onto some back roads. Sometimes, we come across towns with some pretty bizarre and surprising names. For this installment in our series “A Place Called What? 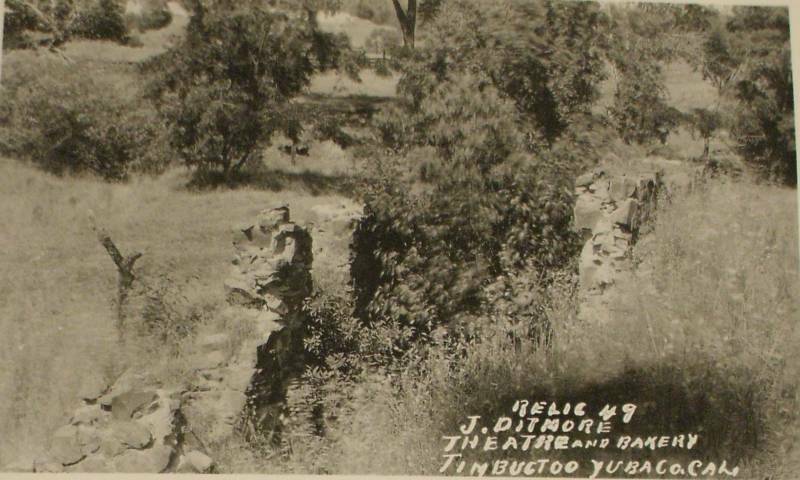 !” we head to Timbuctoo in Yuba County. Know a California spot with an unusual name? Tell us about it in the comments below, or send a note to calreport@kqed.org. 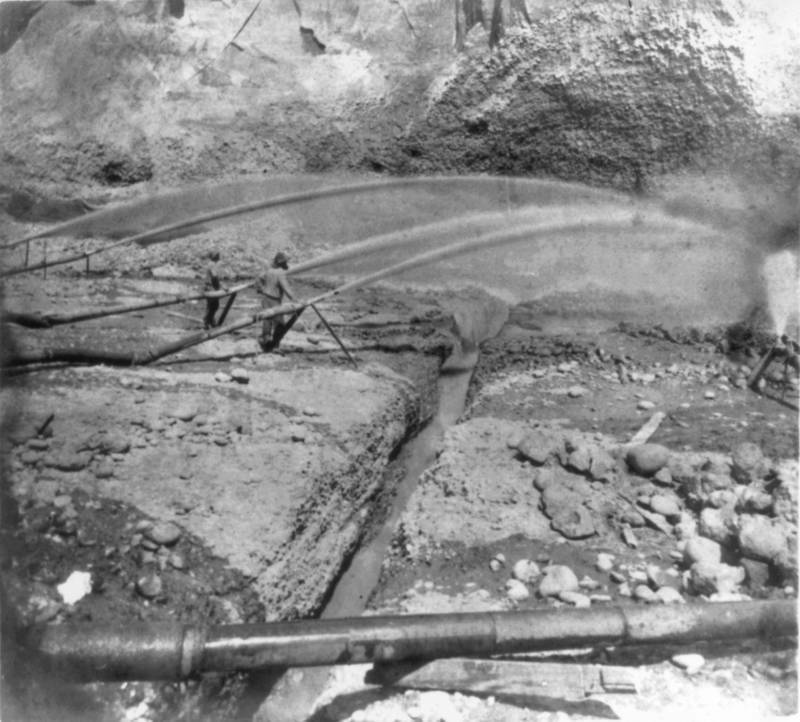 Lane Parker says that when miners came to the area, they wanted to name it for a place that was far away and rich in gold. "They were thinking of Timbuktu in Africa," Parker says. "That stuck. They just changed the spelling." Parker, who has written a book about Timbuctoo, says he became interested in it when he found a travel diary entry from his great-grandmother saying she had visited the town. "I had never heard of [it] before," says Parker, who lives in San Francisco, "and so I wanted to know more." 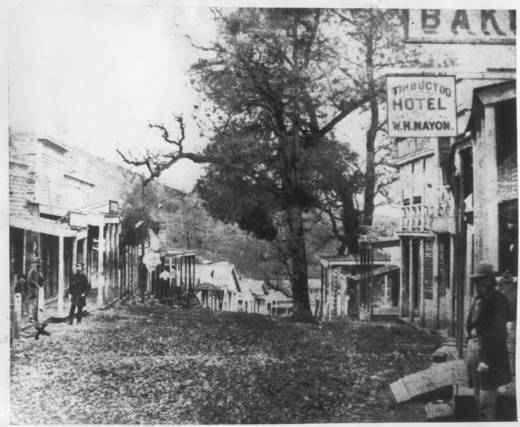 Parker left San Francisco on his motorcycle in search of Timbuctoo. "I couldn't find anything and I couldn't believe that there was just no town there," he says. "If I couldn't find the place where it was, then I wanted to find it at least on paper." A couple of years later, Parker realized he had made a wrong turn during his first trip. Timbuctoo "was on the other side of the road a little bit farther up," he explains, but there really wasn't much to see anyway. "There [are] the ruins of the most famous building of that town called the Wells Fargo Stewart Brothers Store," Parker says. "It's an 1855 building, built of brick and iron doors because it held Wells Fargo gold." Parker says there was also a theater in Timbuctoo that seated 800 people. "It ended up being used by Chinese miners, who came in after all the white miners had left, and the Chinese used to sleep in the basement of that theater," he says. But good luck trying to find this theater. If you know where to look, Parker says, you can see the graded smooth parts of the plots of the theater. "But you cannot see anything of what the town used to be except the Wells Fargo ruins. You cannot see anything." "That's interesting to me," Parker says. "How a number of factors can create the perfect storm and a town just withers and dies." 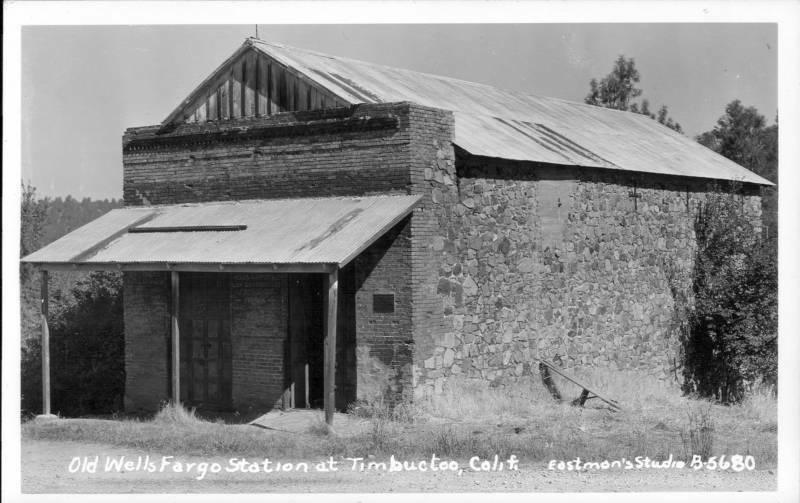 "Timbuctoo," he says, "is the ghost of a ghost town."